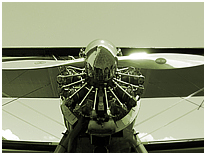 The 1920's and 30's , the so-called "Golden Age of Aviation". This was the era of biplanes, radial engines, and open cockpit flying. The time of barnstormers, explorers, and lots of exciting adventures by air. ...and the objective of 3G CLASSIC AVIATION Inc, based in Austria, Europe, is restoring, maintaining and flying these classic airplanes. 3G CLASSIC AVIATION is specialized in the restoration of BOEING STEARMAN airplanes, rebuilding these biplanes to new condition. 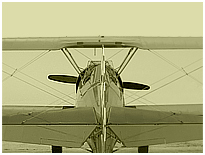 Moreover we are well experienced in the restoration & rebuilding of any other aircraft from the first years of powered aviation to the beginning of the jet age, with the focus on propeller driven airplanes from 1910-1950 (more details...). Fliegen wie zum Beginn der Luftfahrt: Wir verkaufen Boeing Stearman Doppeldecker, ein Kunstflugzeug mit Sternmotor. Kunstflug & Flugreisen in Europa, den Himmel erobern im historischen Flugzeug , ein Angebot für Spass, Freude , Flug Vergnügen in der Boeing 450 Super Stearman Special. Stearman zum Verkauf in Europa! Aviation History: A aerobatic biplane with radial engine for fun flying. Stearman for sale in Europe! Lycoming, Continental, Jacobs, Pratt & Whithney engines, Motore..